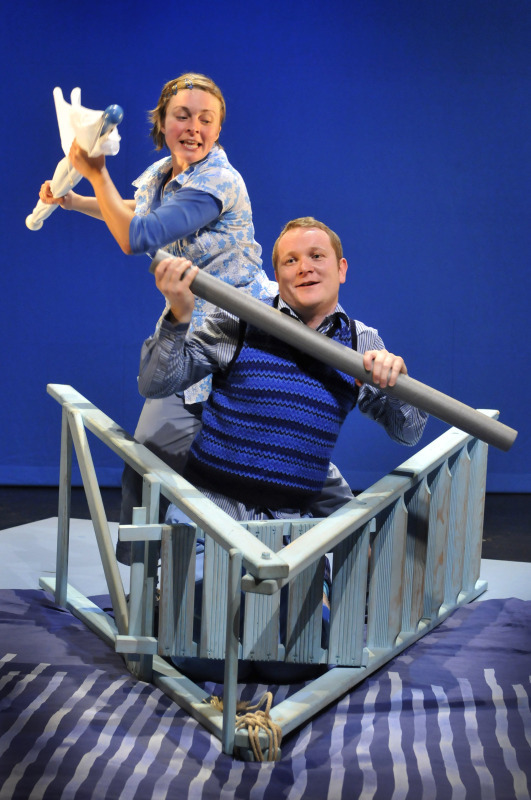 Two characters play together exploring a new space, new objects, dressing up and taking turns - but struggles arise when one of them wants to be the ONLY Captain of the ship! 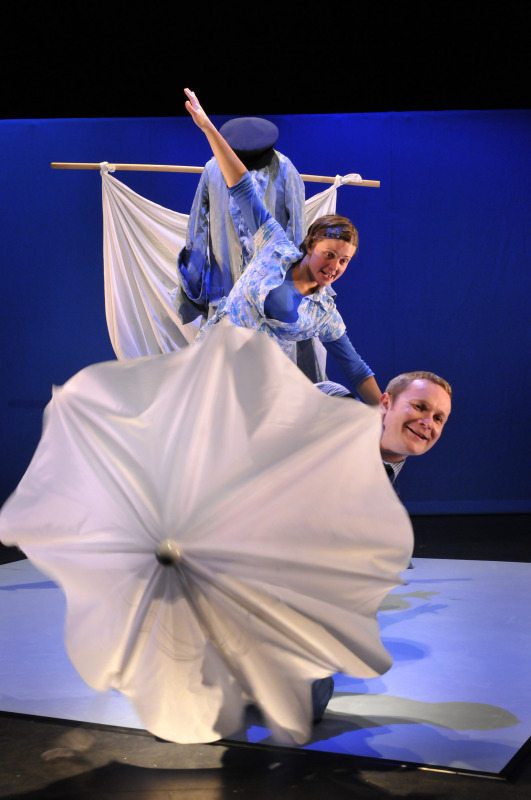 A beautiful and gentle story of friendship, power struggles and creative play. One Little Word is specially created for young children 3+ and contains only ONE spoken word. 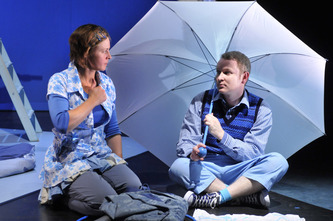 Produced by M6 Theatre Company One Little Word has been developed from an earlier show entitled King of the Castle. 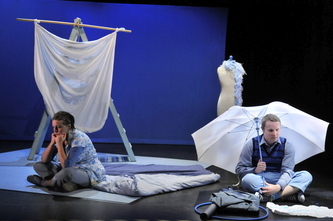 It is being performed by Eve Robertson and Luke Walker with music by Tayo Akinbode and lighting design by Adam Caree. 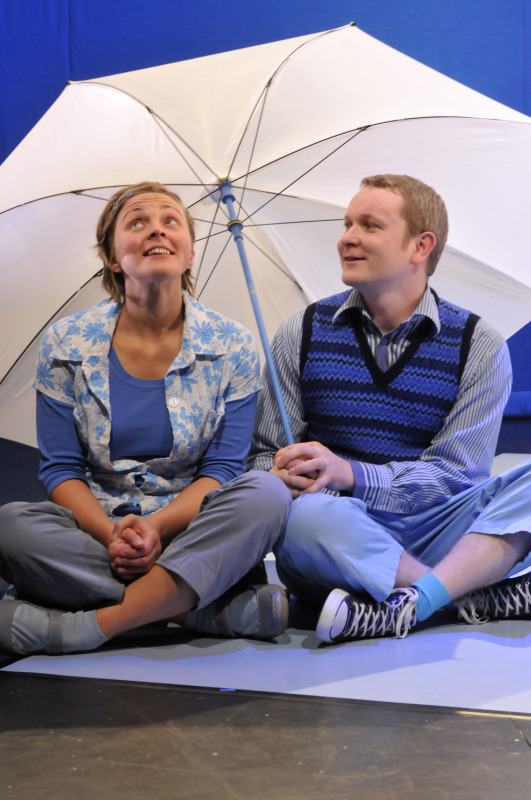 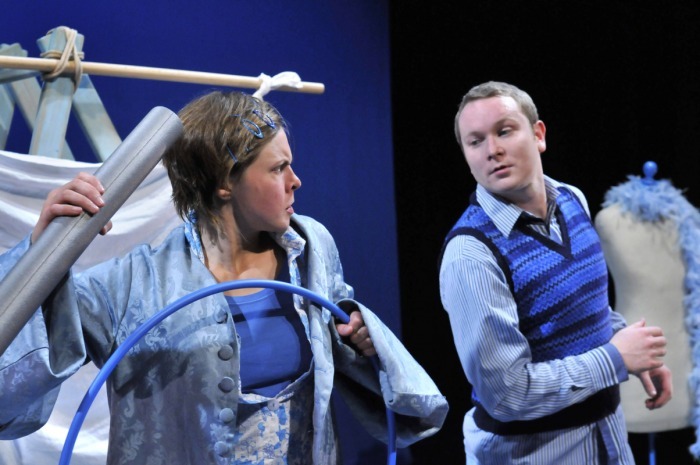 One Little Word will perform at this year's Imaginate Children's Festival in May.